Finishing whiskey in a second barrel is nothing new. 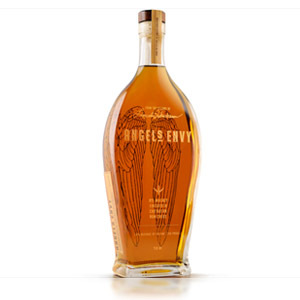 Angel’s Envy uses a port barrel for the second maturation, for example, and the practice of “finishing” is rampant in the scotch whisky industry. 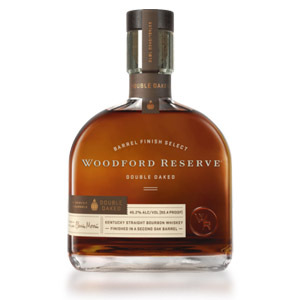 Brown-Forman, makers of Woodford Reserve, came up with an innovative approach to this old concept: Use a fresh, new, (and slightly differently charred) oak barrel for the second barrel maturation. Mind. Blown. You see, as a whiskey ages, volatile compounds in the wood react with the whiskey in various and undocumented ways. Some of this is simple dissolving of compounds into a solvent (alcohol) and some of it is esterification and transesterification, which are types of chemical reactions involving the alcohol, the wood, the charcoal, and the oxygen in the barrel. At any rate, this process occurs on a spectrum of time, where certain compounds are released early and others are released or created over longer amounts of time. The longer the whiskey ages, the more of these compounds are “spent” as the barrel has less readily-available (near the surface) react-able compounds. If you take such a “spent” barrel and re-use it (as the scotch industry does) you get a different set of reactions, different compounds, and different flavors that take longer to develop. You can increase the activity of a spent barrel by scraping off a layer of used-up wood, and re-charring it to release and activate more of the wood. What Brown-Forman realized is that by taking their standard 72% corn, 18% rye, 10% malted barley bourbon and re-casking it into one of these brand-new casks for a little under a year, you restart the process and get a double dose of those “early” readily-available compounds into the whiskey. Further, by heavily toasting and lightly charring (instead of the usual heavy charring) the second barrel, you encourage a slightly different set of compounds to develop in the charred surface of the oak. Brilliant. Also, expensive… since you just bought one barrel of whiskey for the price of two. But… does it work? Nose: Dark chewy molasses cookies or gingersnaps. Intense, nutty, and with a piercing tart note like apple cider vinegar. Woody; that extra maturation in new oak does seem to intensify the oak aromas. Palate: Thin body. Lump charcoal up front, almost smoky. Then, sweetness shines through with molasses, pancake syrup, and toffee. Moderate tongue burn (appropriate for 45-ish percent ABV). Finish: Of medium length. Very woody, with a lot of drying, antiseptic tannins. The sugar manages to keep pace, as does the not-quite-bitter charcoal. Even that vinegar note persists. Fades slowly without evolving. With Water: Several drops of water have no apparent effect on the aroma, and simply mute the tongue burn on the palate. This bodes well for its ability to work in cocktails or handle ice. 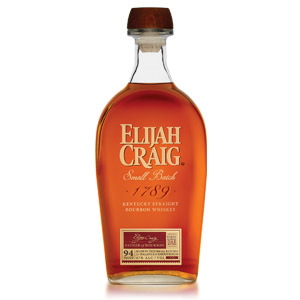 Overall: A robust, intense, and woody bourbon that reminds me of a budget Stagg Jr., but without the proof. 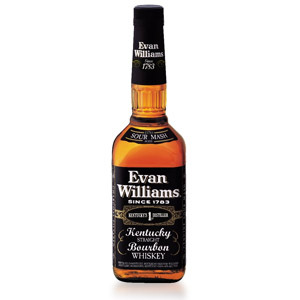 This definitely has more depth of flavor than is normally available outside of cask-strength bourbons like the Stagg. 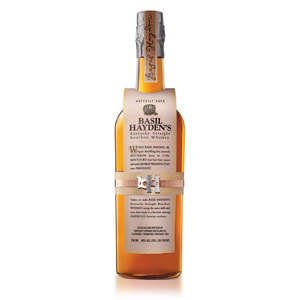 The whiskey seems to be missing any fruit notes, but manages to maintain a tenuous but successful balance between sweet, smoky, oaky, and bitter. These qualities also allow it to shine through in cocktails. Even though the price is almost, but not quite, double that of the standard Woodford, the quality is in line with other $40-$50 bourbons. I wouldn’t buy this at the higher end of retail (I’ve seen it for $60! ), but $40 is fairly spot on, and that’s saying a lot for a bourbon. It also comes in a handy 375ml half-bottle if you’re not ready to commit to a full bottle. I like this a lot better than the standard Woodford, and would consider buying a full bottle the next time I run out of Stagg Jr. I agree. I had my doubts about this one at first. So much oak is present upfront that the initial flavor was pure floorboards, and that came as a bit of a shock. But a few more sips brought rewards. I found an intense amount of caramel and vanilla, perhaps more than in any other bourbon I’ve had (and I’ve had quite a few). Considerably more character than the regular Woodford, which in my view is good but not great and frankly rather uninspiring. My local Costco (Glenview, Illinois) currently has the Double Oaked for under $50. Well worth it. I had a bottle of this one just over two years ago. It was immediately after the new bottle design hit the market. I recall that it was fairly dessert-like in its sweetness and a true vanilla bomb. A buddy of mine loves sweet whiskies and this is no unsurprisingly one of his favorites. I imagine the intense vanilla comes from the second, heavily toasted barrel. 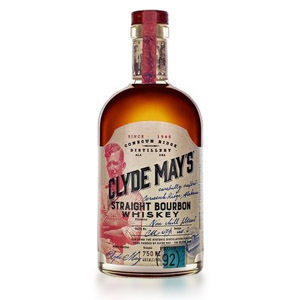 Thanks for bringing this unique bourbon back to my attention. Might be time for another try. At the asking price of $57 in my area, I do wish it carried an age statement. Recommend a visit to the Labrot & Graham distillery where Woodford Reserve is born. The three big pot stills against the historic stone buildings are wonderful eye candy. Another interesting note is they steam-heat cycle their rickhouses to add “seasons” several times each winter. It works. Buffalo Trace does the same with some of theirs. Thanks for the note Charlie!